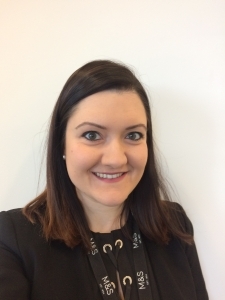 Maria is the Energy Efficiency Programme Manager for Marks and Spencer, and she is responsible for creating the business case for energy efficiency capital projects. Her role is to take projects from feasibility and design to trial, and then through to business case for roll outs. She has been involved in M&S’s demand side response programme for the past year. Maria holds an Engineering Doctorate in the energy efficiency of retail outlets. She joined M&S in 2015, and her experience includes the delivery of energy efficiency projects, the analysis of energy consumption data, ranging from building to equipment level; and evaluating the performance of energy efficiency projects. Don’t miss your chance to hear from Maria, along with other speakers at our ''Demand Side Response'' launch event.